Aaron (Michael Welch) in ‘The Final Wish,’ which opens in select theaters across the U.S. on January 24th, 2019. Delving into the past can lead a person to uncover a far more sinister discovery than they originally anticipated. 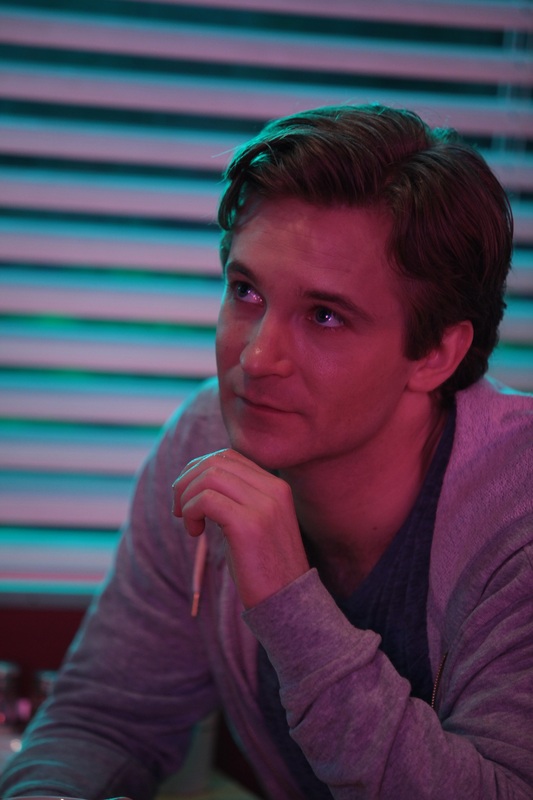 That’s certainly the case for actor Michael Welch‘s troubled protagonist in the new horror film, ‘The Final Wish.’ The gritty and stylistic drama follows the conflicted character as he sets out to confront his past demons, but instead uncovers a mystery that is far more evil than it initially seems. The movie is set to play in select theaters across the U.S. this Thursday, January 24, courtesy of Cinedigm. The official theatrical release comes after ‘The Final Wish’ had its World Premiere at this past fall’s Screamfest Horror Film Festival in Los Angeles, where one of Welch’s co-stars, Lin Shaye, served as the festival ambassador. ‘The Final Wish’ was directed by Timothy Woodward, Jr. and co-written by Jeffrey Reddick, both of whom also served as producers on the drama. Jonathan Doyle and William Halfon also served as scribes on the script. ‘The Final Wish’ follows the struggles of Aaron Hammond (Welch), a young law school graduate who does’t seem to have any luck in his professional or personal lives. After failing to secure a job during a dismal interview and getting locked out of his apartment for not being able to pay his rent, he finds out that his father has died. Hoping to repair his estranged relationship with his mother, Kate (Lin Shaye), and his ex-girlfriend, Lisa (Melissa Bolona), he returns home only to find that things are worse than he remembered. But his luck seems to change when he finds an unusual urn that belonged to his father, and harnesses incredible powers to grant the owner’s wishes. However, the urn isn’t as helpful as Aaron is initially led to believe, because when the things he hopes for begin to happen, terrible things occur to those around him. So he must find the courage to take on an unspeakable evil that will stop at nothing to wreak havoc in his life. Welch generously took the time recently to talk about starring in ‘The Final Wish’ during an exclusive interview over the phone. Among other things, the actor discussed that he was drawn to star in the horror movie, because he not only admires Woodward and Shaye‘s approach to filmmaking, but as an performer, he also relates to Aaron wrapping his whole sense of identity in his success. He also cherishes the experience of making this type of story independently, and the fact that the drama is receiving the theatrical release. The conversation began with Welch disclosing why he was interested in playing Aaron in the horror movie. He explained that “James Bressack reached out to me. He’s one of the producers on this film, and also directed another movie I worked on last year, which was originally titled ‘Together,’ but the distributor changed the title to ‘Blood Craft.’ So you can look out for ‘Blood Craft’ later this year!,'” the actor shared with a laugh. “But James reached out and let me know he had this project, and sent me the script. After that, I got in touch with Tim Woodward, who’s the director. He let me know that Lin Shaye and Melissa Bolona were involved, and that was definitely a big selling point for me,” the performer revealed.